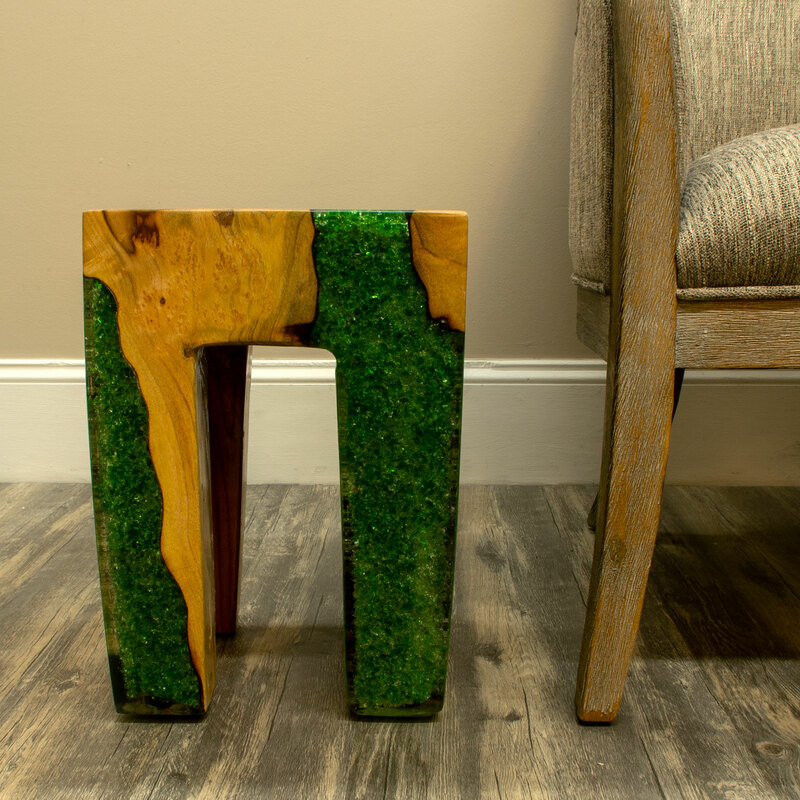 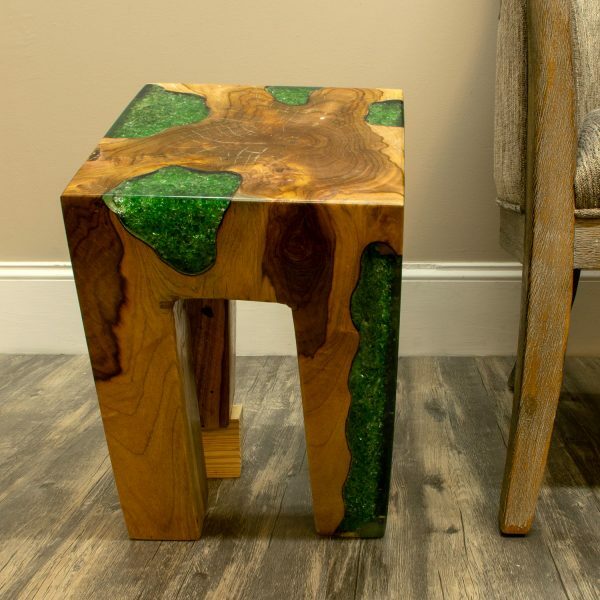 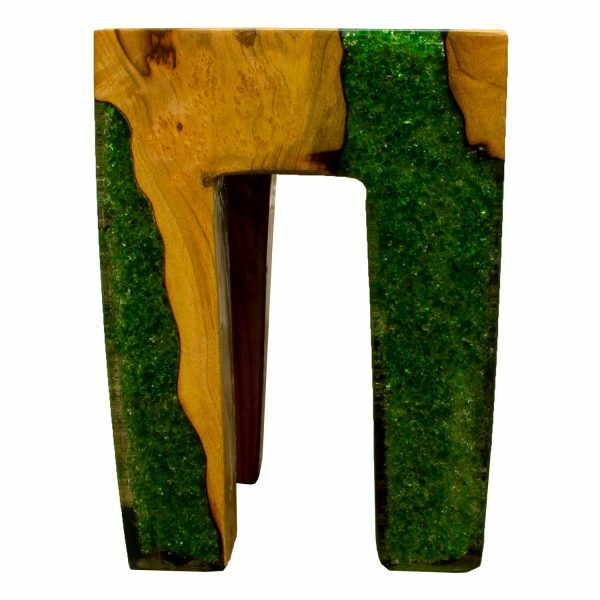 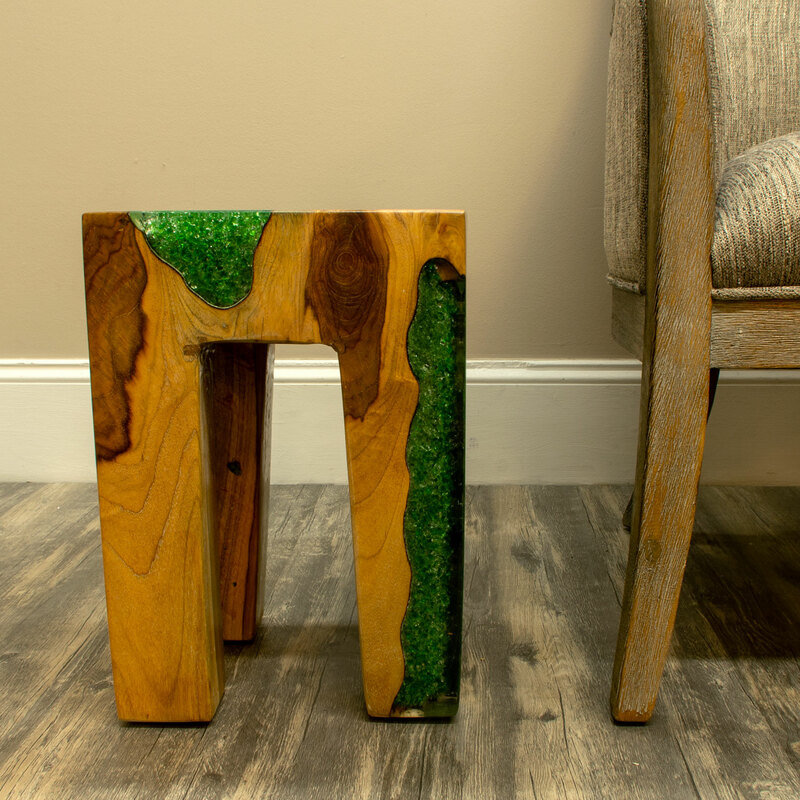 Green Resin with crushed glass inside and teak root wood four legged side table. 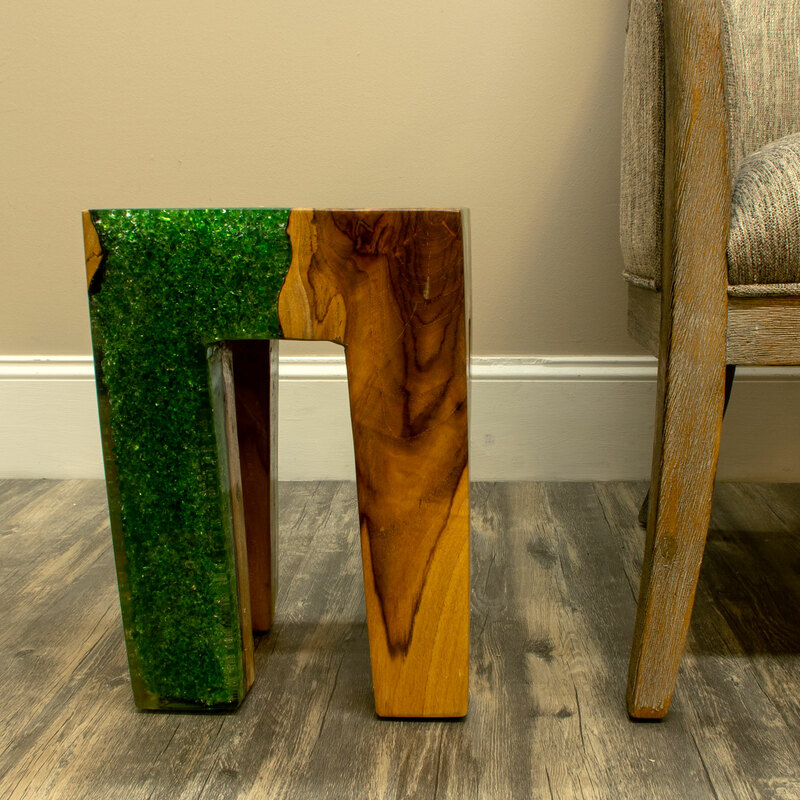 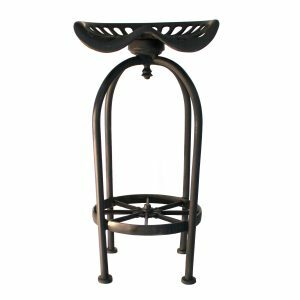 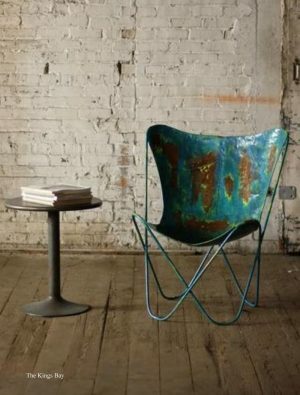 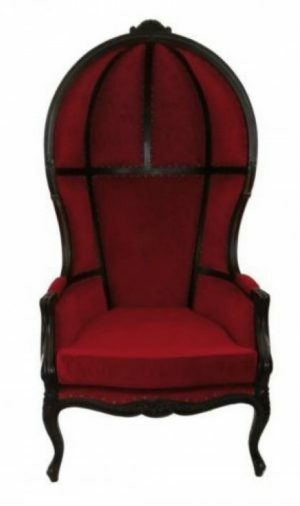 This one is also great as an end table or night stand. 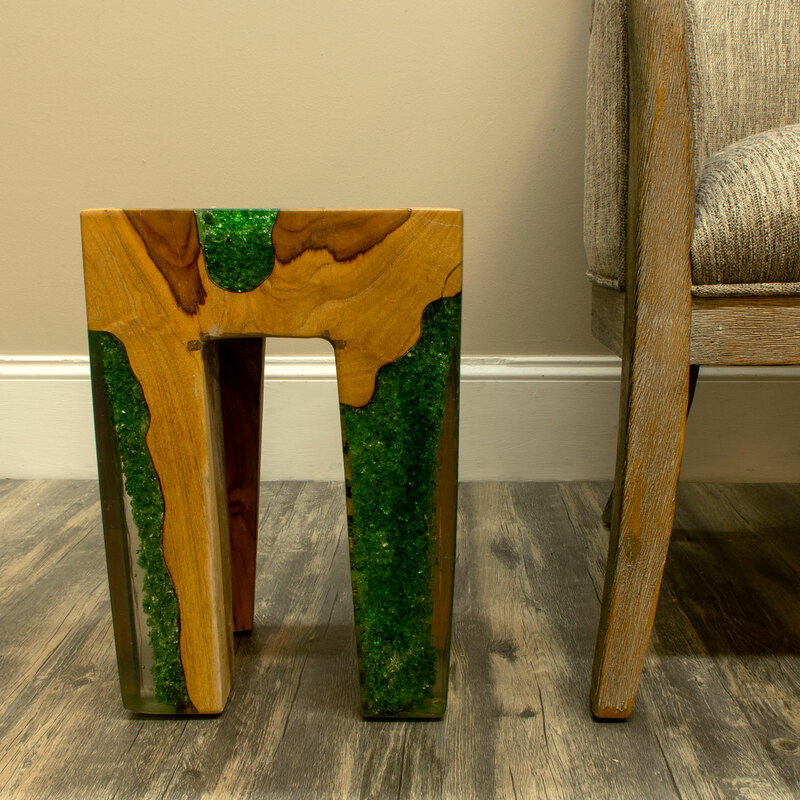 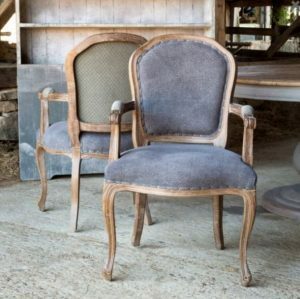 Each piece of this collection is an individual work of art and no two are the same.